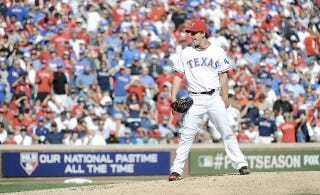 It's Max Scherzer vs. Derek Holland tonight as the latter's Texas Rangers attempt to close out the former's Detroit Tigers and advance to the World Series for the second consecutive year. Excitement. Experience it via comments here.